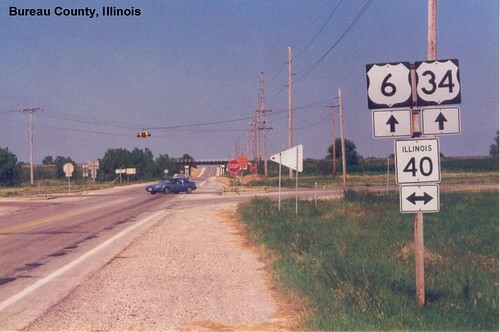 US 6 is multiplexed with I-80 and I-94 as it crosses from Indiana into Illinois. 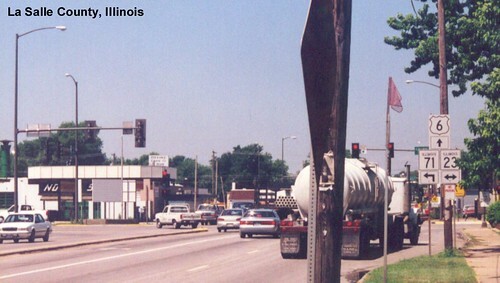 This section of road has been rebuilt since this picture was taken. 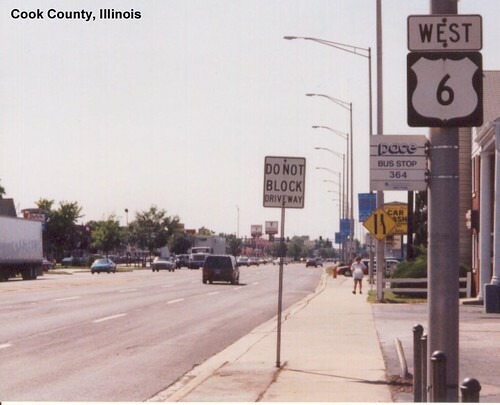 US 6 passes south of Chicago. A lot of power lines here on the south side of Joliet. US 6 is again a busy city street in Ottawa. US 6 is multiplexed with US 34 as they travel through Bureau County.